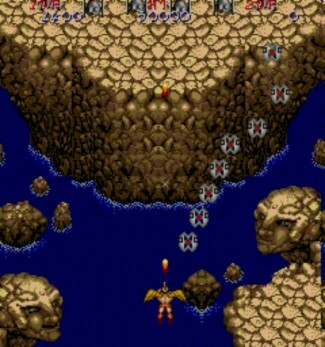 The game is a vertical/horizontal scrolling shoot-em-up where you fly a winged soldier over a Greek mythos style landscape. Shoot and bomb the attacking enemies. The game play switches between horizontal platform and flying levels.